other options or preferences, just let me know! Please note that items on this page are not kept in stock. They will be constructed when ordered. Please take that into consideration when ordering. SORRY, BUT ONLY SHIPPING TO CONTINENTAL USA! One Inch of Power at your fingertips. Here is your pocket decade that will be used over and over and over again! 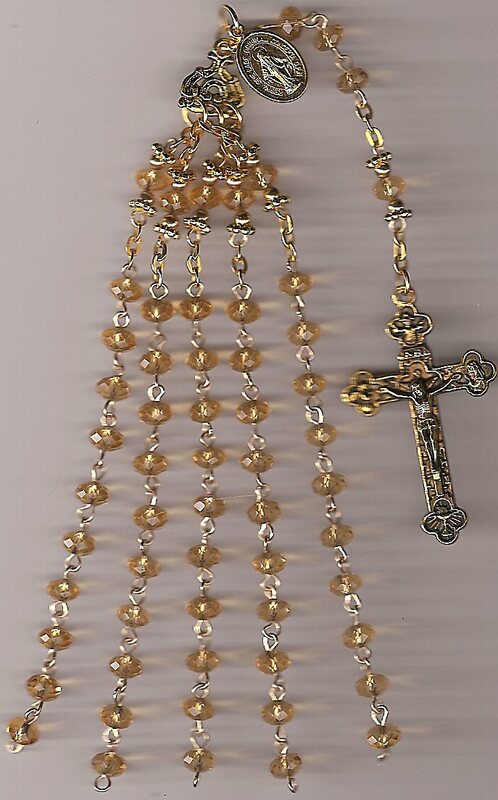 The middle Pater twirls on the wire and combined with the feel of the nearby Ave's produces a very calming and peaceful effect. Hard to put down! 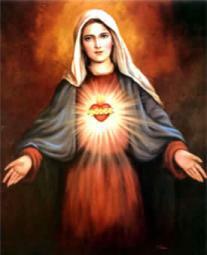 Pray your decades or use them for thinking or better yet, breaking bad habits like smoking! Physical addiction leaves you in just 3 days, this will help with the psychological addiction and having something to do with your hands! Certainly prayer will aid you in your quest! Please specify your choice of ANY gem stones or colors when ordering! Some other gem properties found here. 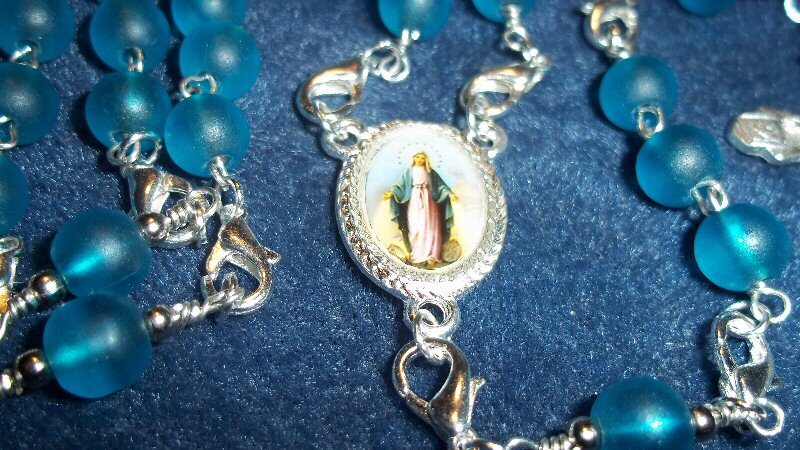 Stretchy Rosary Choker Fully functional 5 decade Rosary. Double crimped for durability. Stretch from middle of back decade for best performance and longevity. Details in description. 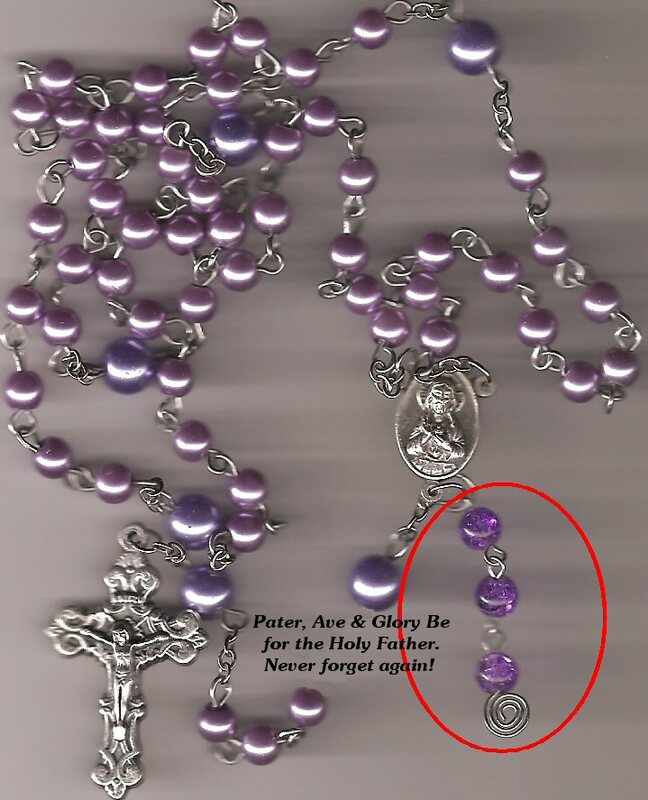 Please note: BEADS & COMPONENTS WILL VARY. YOU MUST STATE ANY PREFERENCES YOU HAVE OR I WILL CHOOSE FOR YOU! 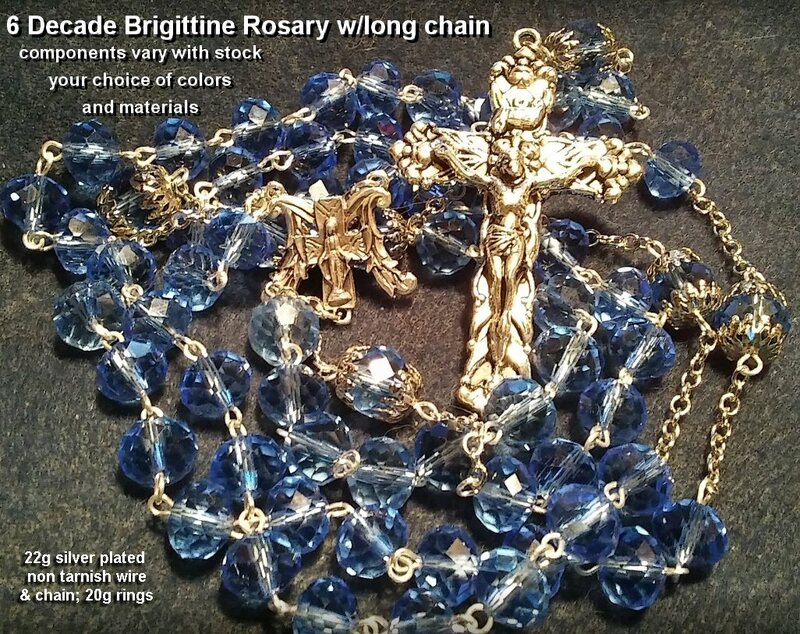 Brigittine Rosary (6 Decades, 7 Pater's) A truly unique, substantial Rosary measuring 30+ inches to the tip of the Large 2¼ inch Crucifix. 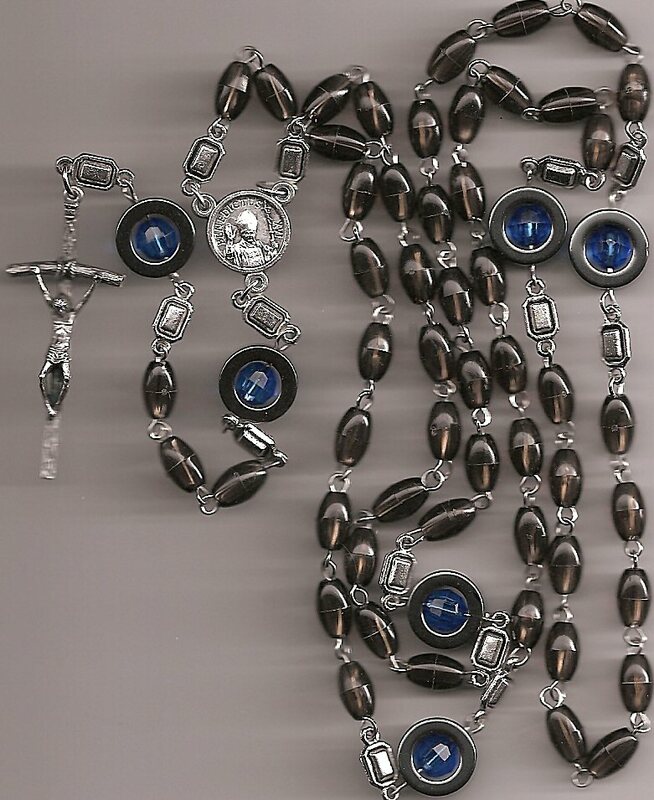 The scan does NOT do this Rosary justice. 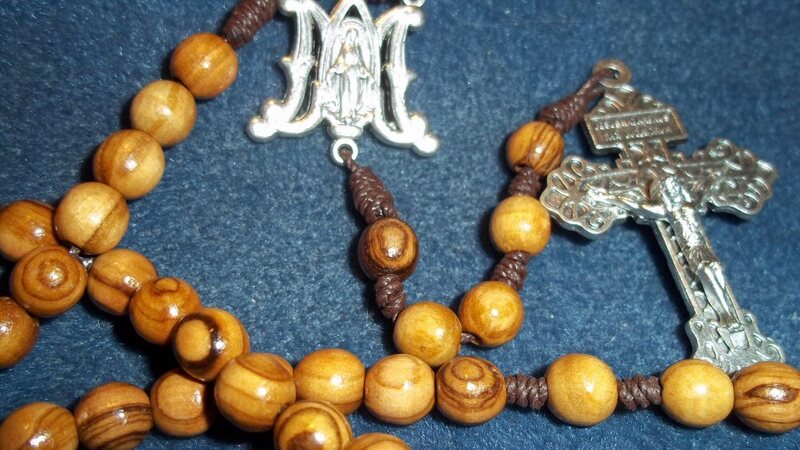 Your choice of beads and colors, as always. 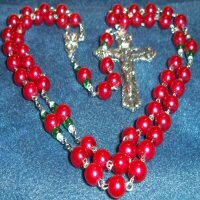 Made to order .. please state ANY preferences. 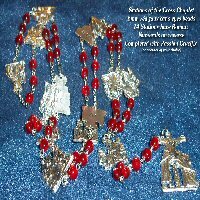 Please note: only regular silver St. Francis centers available now. Not in stock. Will be made when ordered. Centers will vary, please state any preferences. 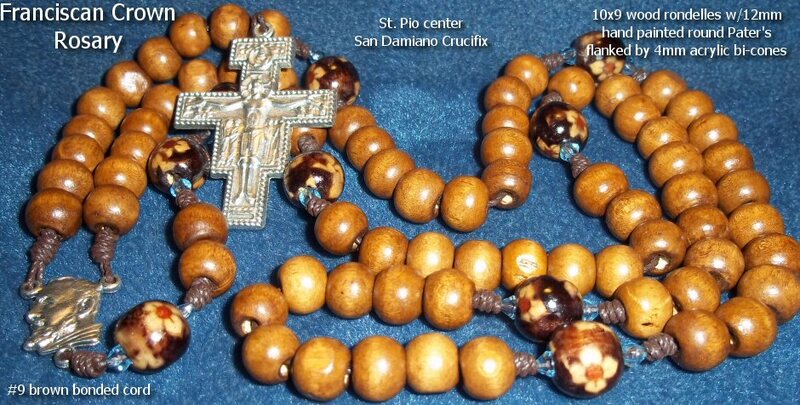 San Damiano Crucifix will be used unless you request an alternative. 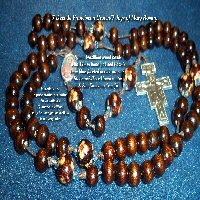 Black wood beads/cord can also be used. Please don't hesitate to inquire or suggest! If no instructions, stock will dictate materials. Beads and component parts representative, but every effort will be made to stay close to original picture and will be discussed prior to purchase for approval! 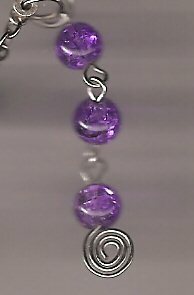 Regular silver plated centers may be used if color centers not available. 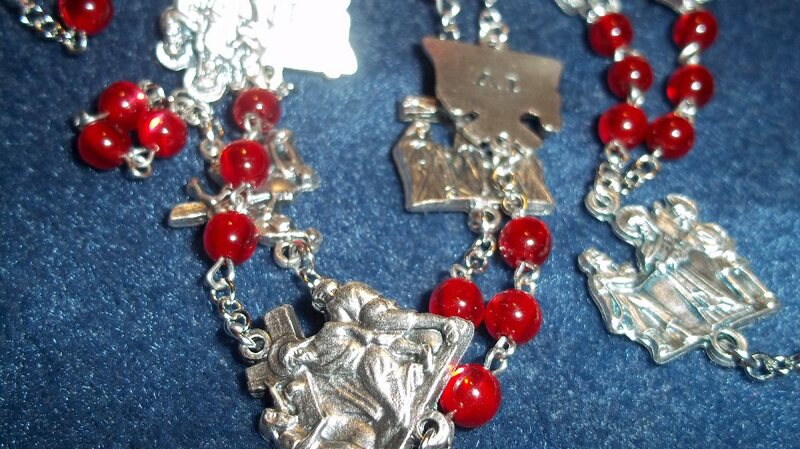 Traditionally San Damiano & St. Francis but will change center & Crucifix to your preferences. 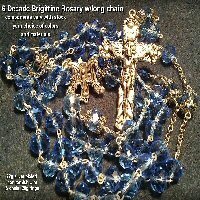 This Rosary is a totally new design while keeping with original count of 59 beads. 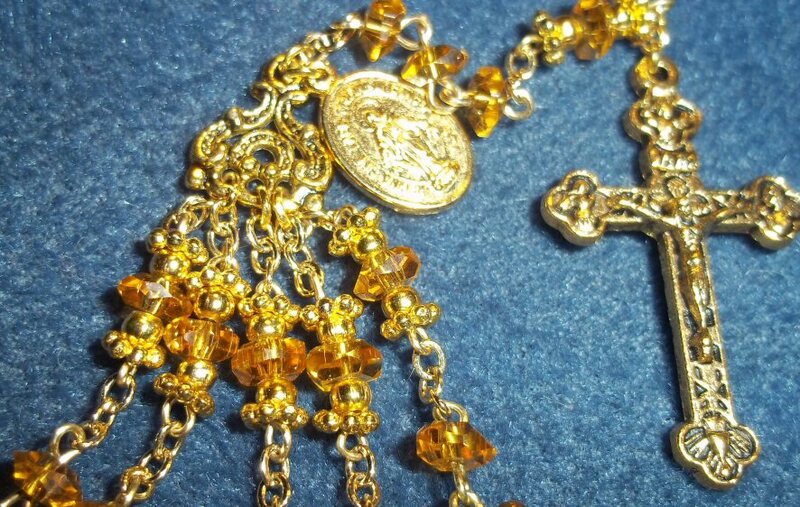 At first glance, you may be a little confused ... but just "TAKE UP YOUR CROSS" and everything else will fall into place ;) 22gauge gold plated wire and 4mm Swarovski Crystal Rondelles with plated gold accents and spacers on the Pater's. 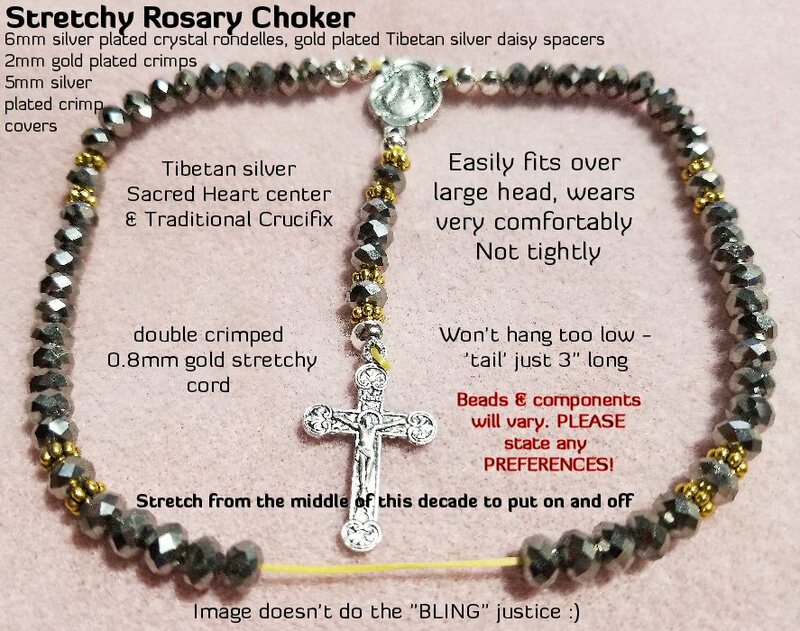 Crucifix and findings are antique gold tone. A most unique piece. 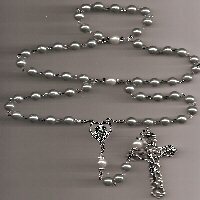 May also be constructed with larger round beads too! 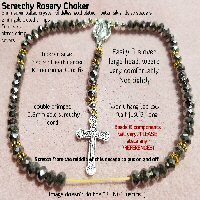 Smokey black 9mm acrylic beads with Pope Benedict XVI center piece and Papal Crucifix. Center has John Paul II on reverse side. 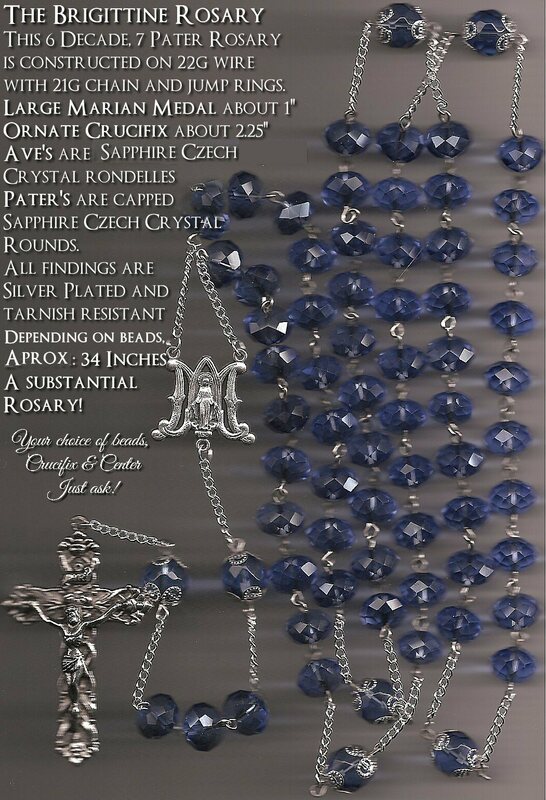 Pater's are 6mm free-floating blue acrylic beads encased in 12mm Hematite donuts that can spin while being prayed. 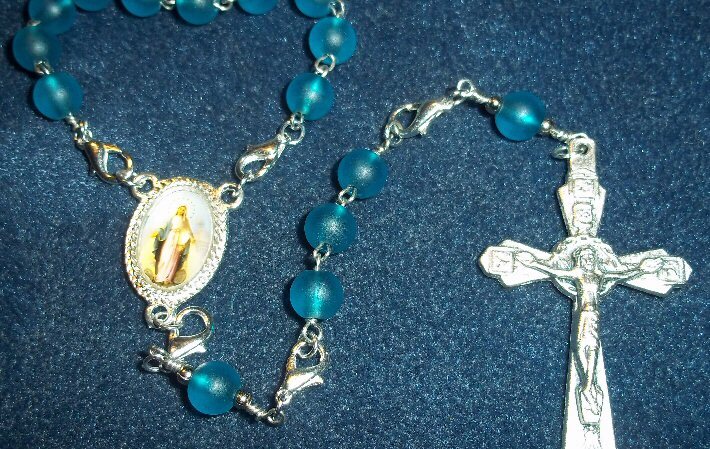 Tibetan silver connectors and 20 gauge jump rings make this a sturdy 24 inch Rosary. Made to order .. please state preferences. 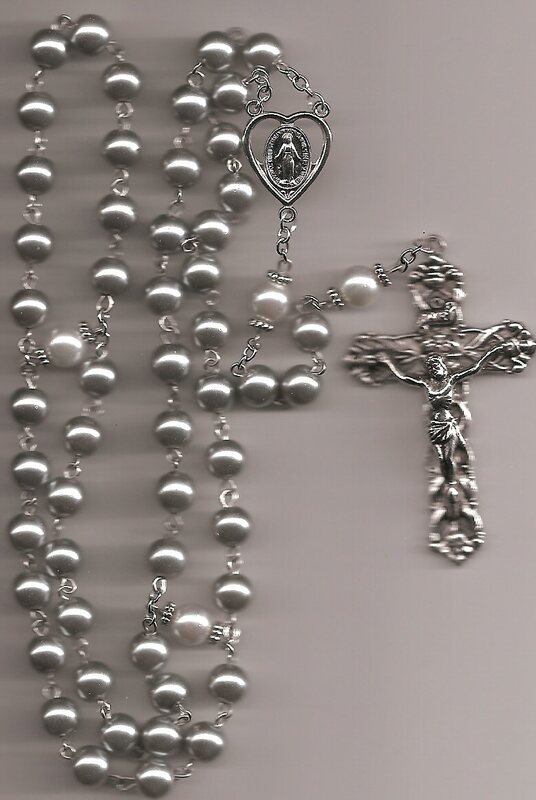 Add a silver oxidized medal of Pope Benedict/JPII or St. Peter for only 75¢ more! 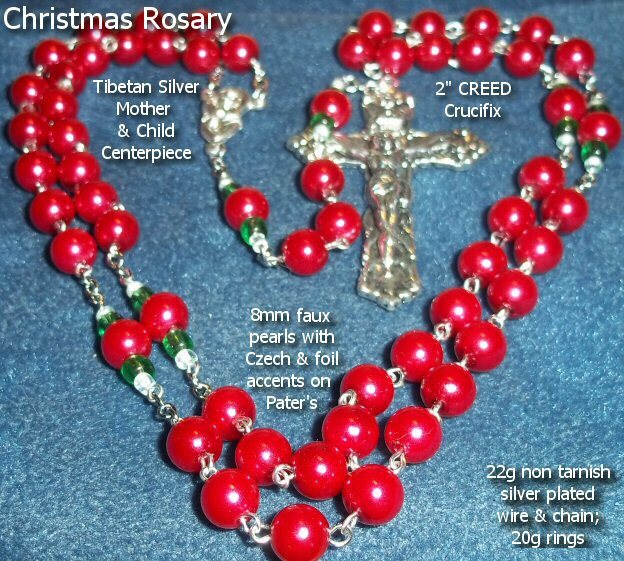 "Papa's Prayers®" Addition, for any Rosary. 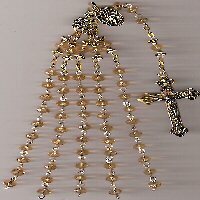 Attach this small addition to your rosary and never again forget to pray for the Holy Father's Intentions! 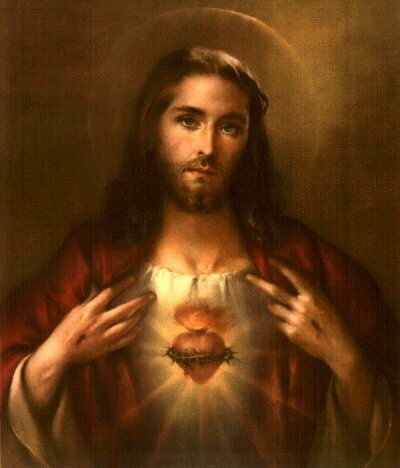 (Please also pray for his strength and safety!) 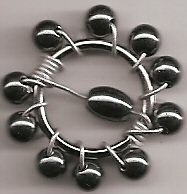 Attaches easily to the center piece jump ring or any link of your choice. 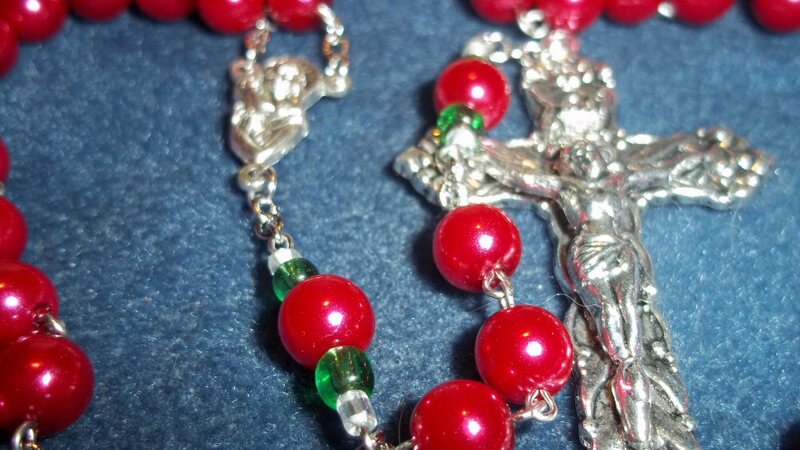 Attaches with spring or lobster claw clasp. 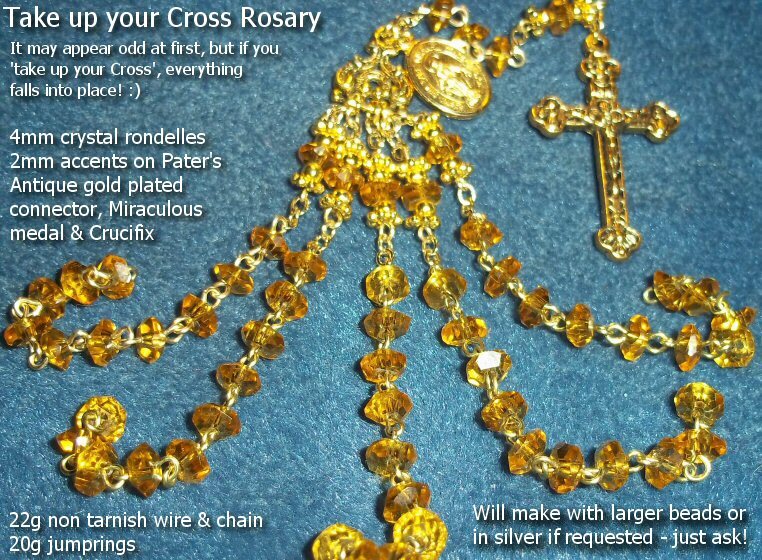 Specify gold or silver toned wire and plastic or glass bead color desired in instructions to seller at paypal.